267 Kensington High Street, W8 6NA Occasionally I walk into a restaurant and immediately know that all is going to be well. 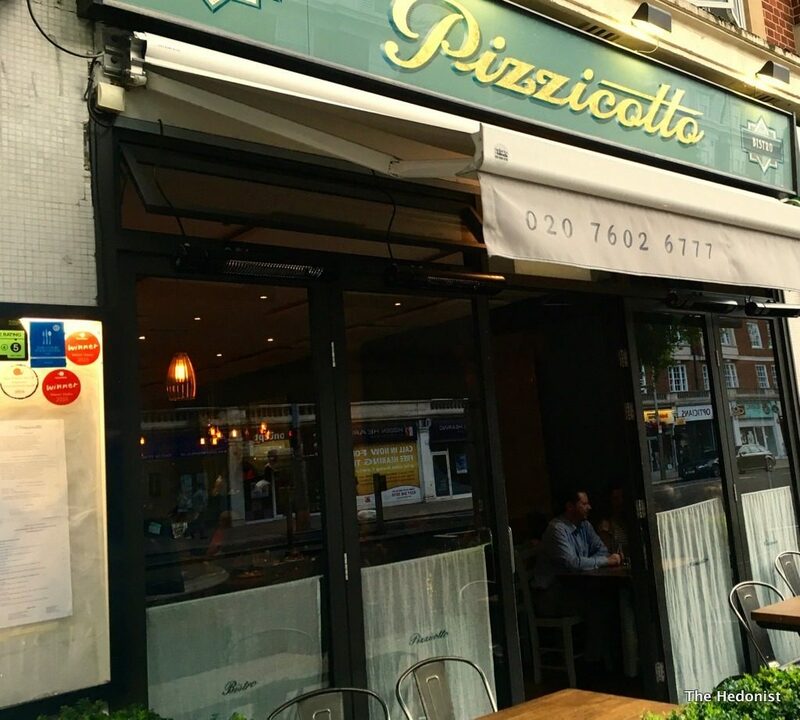 It was like that at Pizzicotto, an unpretentious family-run Italian restaurant a hop and a skip from Kensington High Street tube. There’s an old soul soundtrack playing and a happy buzz from a room full of punters secure in the knowledge that they are about to be well fed. 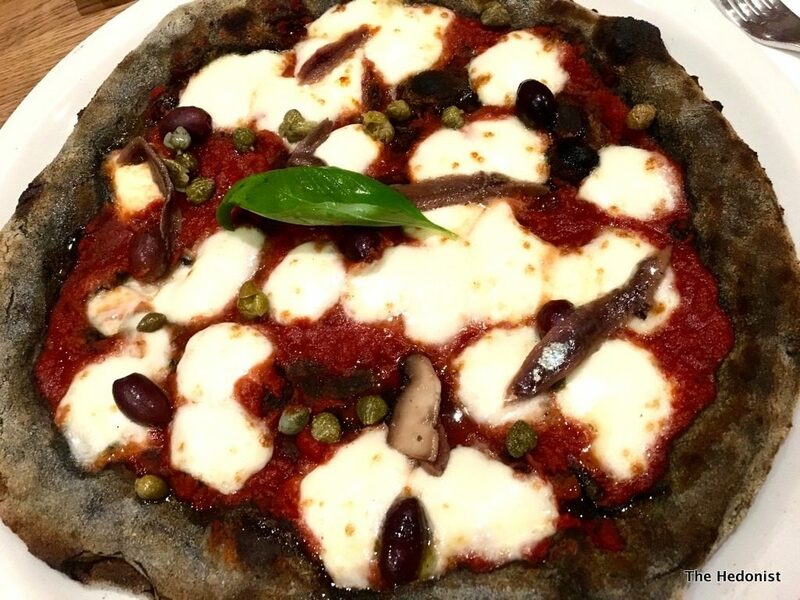 The restaurant is a member of Slow Food UK which implies a seriousness of intent and I’ve been invited to review their gastronomic USP, an innovative ‘dusky black activated charcoal pizza dough’, rated in the top 20 at the World Pizza Championships. But first things first…We sank a couple of Negroni Spagliati (£8) whilst surveying the menu-it’s the cheery younger sibling of the Negroni, the bad big brother who you don’t want to get on the wrong side of- the Spagliato is a blend of sweet Vermouth, Campari and Prosecco which replaces the gin element that gives the elder sibling its punch. 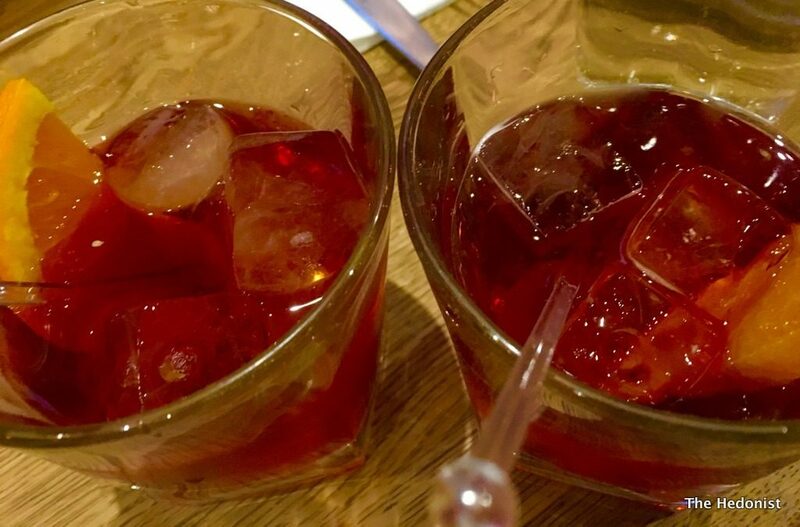 If you like those bitter Italian flavours but find the Negroni too hard to handle then it’s a great summer’s option. 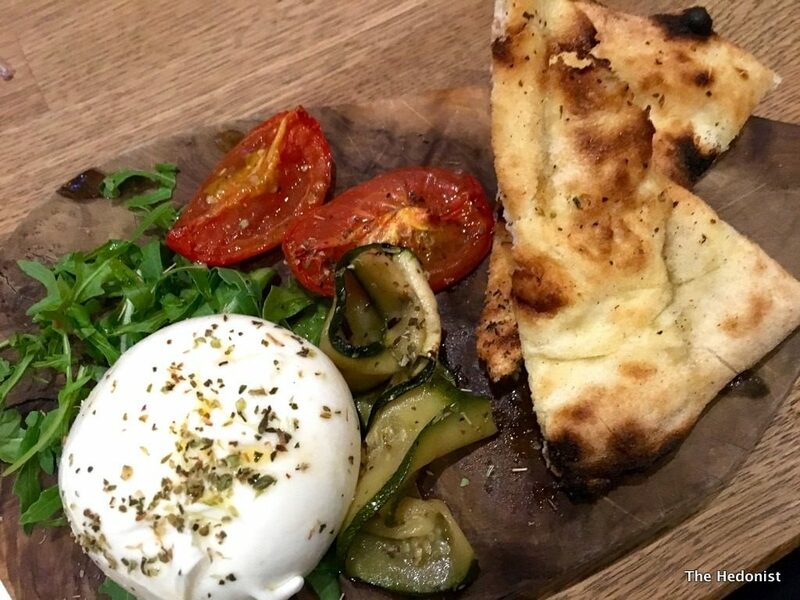 Deliciously creamy Burrata (£10) from Puglia came with chargrilled zucchini, a blistered piece of pizza bread and confit tomato from the woodburning oven. Sourcing Burrata is not straightforward as it has to be really fresh and this zinged with flavour. 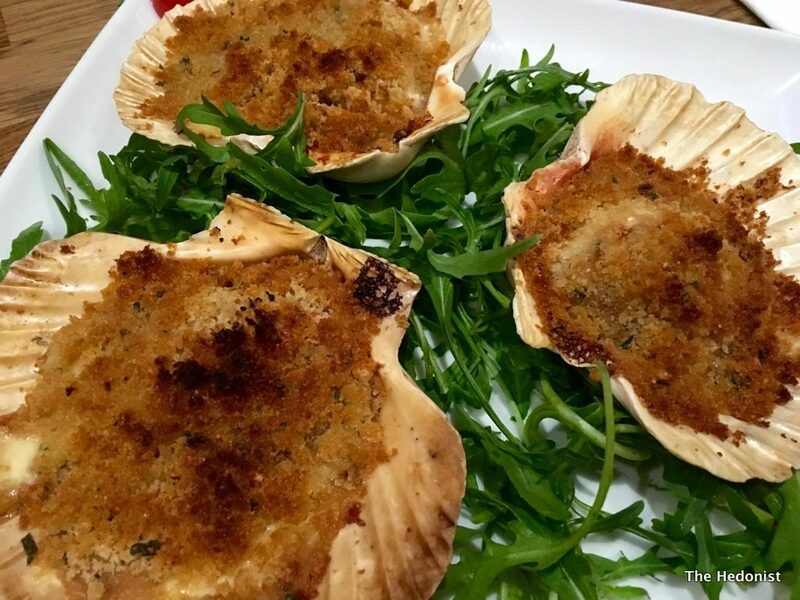 Succulent chargrilled sea scallops (£11) were also grilled over wood with a gentle Parmesan crumble adding some texture. 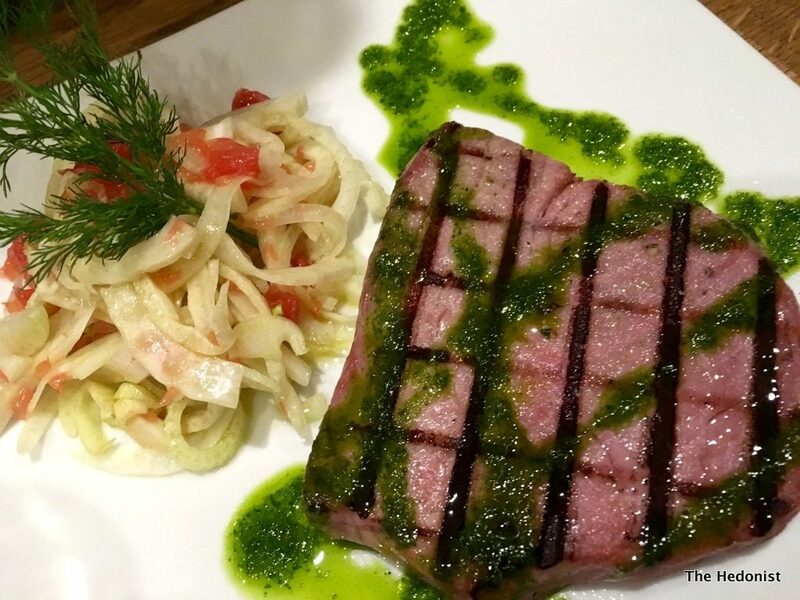 With our mains we were drinking a mineral Verdicchio by the glass which was a good match for my chargrilled sashimi grade tuna with fennel and grapefruit salad (£18). It was seared on the outside but still pink inside with the crisp sweetness of the salad acting as the perfect counterpoint. But the main event for me was the Spacca Napoli Pizza. It was dressed with salted anchovies marinated in garlic and chilli, mozzarella, black olives and capers (£12.50). The charcoal infused base gave the pizza a noticeably lighter feel and made it particularly digestible. 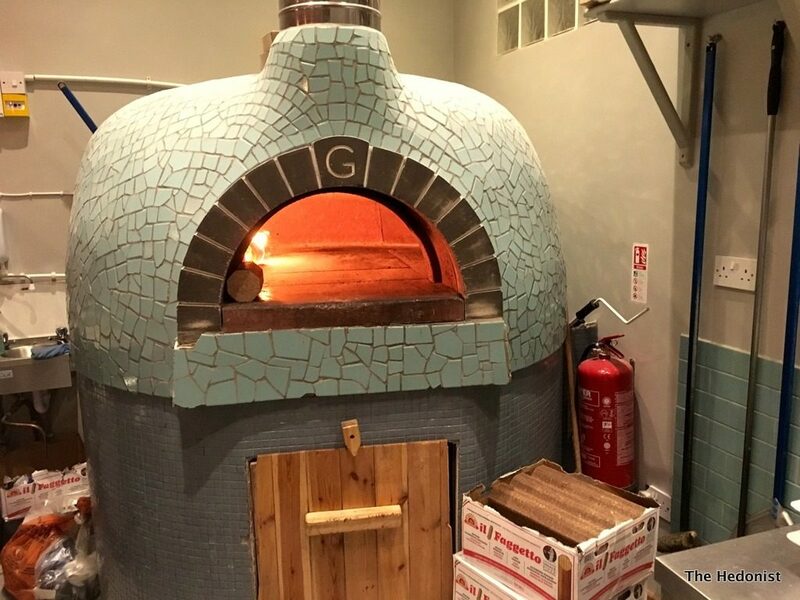 The dough flavour did have a distinctive charcoal flavour which blended in effectively with the robust Southern Italian flavours of the toppings. 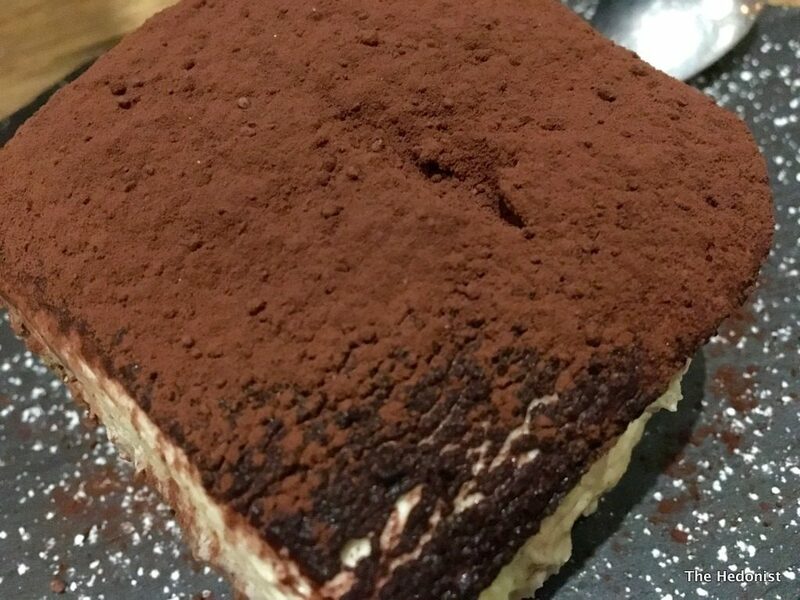 For dessert we tried a classic Tiramisu (£5.75) which did what it said on the tin, and an Amaretto crème caramel (£5.75) with the fun twist of a biscuit base adding an almondy crunch. Doing simple things really well consistently is hard and that’s what they achieve at Pizzicotto whilst not being afraid too innovate. Too often I find myself eating food that is too self-consciously of the moment with the fundamentals of taste, mouth feel and sheer enjoyment being ignored. 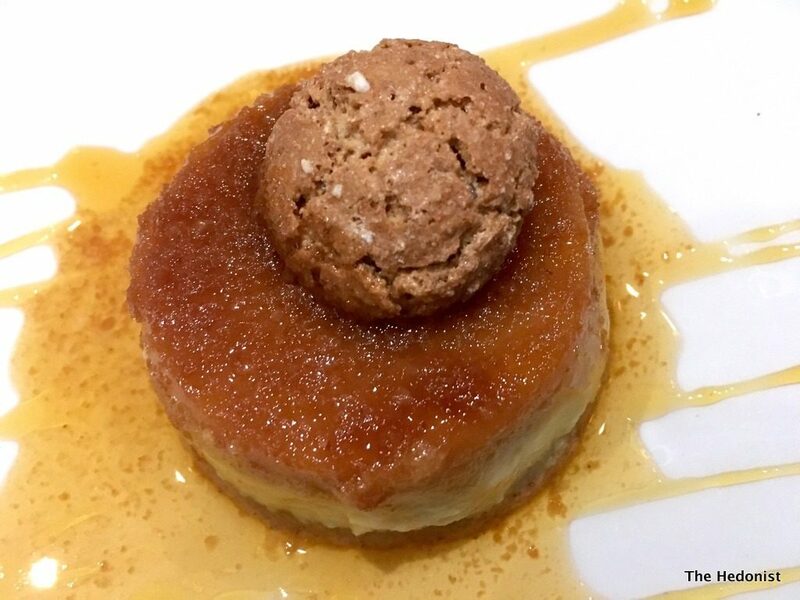 At Pizzicotto the pleasure principle is firmly to the fore.